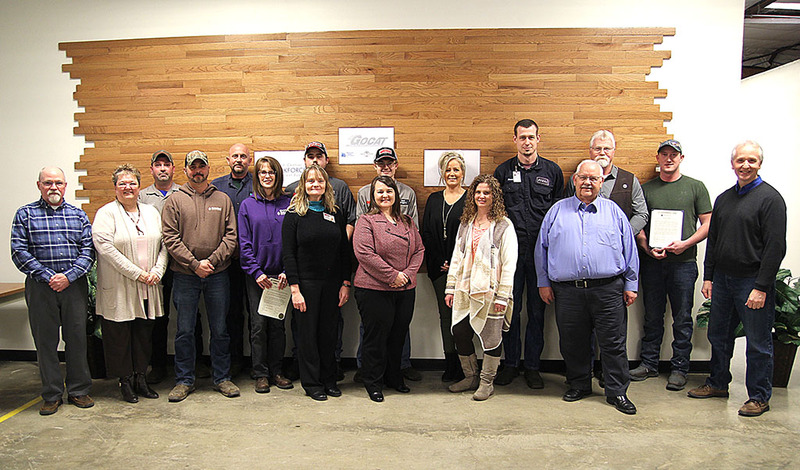 Missouri State University-West Plains hosted a signing event Monday for five students in the first cohort of the Industrial Maintenance Technician Apprenticeship program at the Greater Ozarks Center for Advanced Technology (GOCAT) in West Plains. A project two years in the making, this marks Missouri State-West Plains’ first venture into U.S. Department of Labor certified registered apprenticeships. “This initial offering of apprenticeships by Missouri State-West Plains through our GOCAT initiative is an important step in the evolution of our workforce development program here at the University and in our region,” said Dr. Dennis Lancaster, dean of academic affairs at Missouri State-West Plains. The apprentices will be seeking the 24-credit hour Industrial Maintenance Technician certificate and will complete their training in September. The overall Industrial Maintenance Apprenticeship is a layered two-year program that consists of related academic instruction and on-the-job training with mentors at each of the designated companies. The apprentices will be trained in various areas of maintenance and required to meet competencies in order to gain credentialing from the U.S. Department of Labor. “A registered apprenticeship is an earn-and-learn program where a student is employed by a company and earning a paycheck throughout their educational and on the job training. At the end of the apprenticeship, they will receive college credit and an industry issued, nationally recognized credential,” said Sheila Barton, Missouri State-West Plains project manager at GOCAT. The partnering companies will provide the work experience to ensure professional skills while Missouri State-West Plains provides classroom training. The eight-week blocks of coursework over a period of one year, in conjunction with on-the-job training to refine the skills they have acquired, will earn a guaranteed starting pay up to $13.00 with incremental increases as they meet specific milestones throughout the apprenticeship. For information contact Barton at 417-255-7784 or sheilabarton@missouristate.edu, or Roy Crouch, Missouri State-West Plains education/outreach specialist at GOCAT, at 417-255-7785.